Kikuyu grass is a perennial favourite for lawns throughout Australia. Kikuyu grass is renowned for its rapid lush green growth, drought hardiness, resistance to wear, and ability to survive gardener neglect. Its ability to spread quickly makes it ideal for lawns that take a hammering from children or pets. Dead patches will usually recover very quickly because kikuyu spreads via hard to kill rhizomes. In fact, few other grass types can compete with Kikuyu’s amazing ability to recolonize and regreen damaged lawn. It’s these same qualities that brought Kikuyu grass to Australia back in the 1920’s as a pasture grass for cattle and other livestock. Kikuyu is native to Kenya and Kenyan seed was used in the 1960’s to start a propagation programme in New South Wales to further improve the Kikuyu stock. The rampant growth of some of those early varieties of Kikuyu has created infestation problems in some areas but the modern lawn varieties are generally sterile so they cannot spread via seed into unwanted areas. Kikuyu produces lush green growth in hot and cold seasons. Although severe frost may cause some browning it will quickly bounce back. Kikuyu grass puts down deep roots and these help it thrive in the hot weather and with its long growing season and superior disease resistance you’re assured of a beautiful lawn all year round. 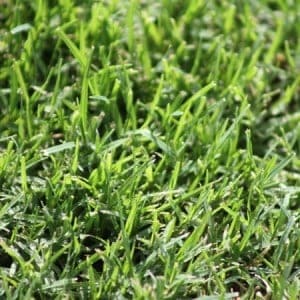 Broad coarse leaves (25 to 40 mm long and 4 to 5 mm wide) and hardy runners characterise kikuyu grass and it is the perfect cost-effective grass for sunny areas especially if you’re on a tight budget. Kikuyu is renowned for its vigorous growth in most conditions and although it is not a shade loving grass it will tolerate some shade. Its fast growth rates may mean slightly higher mowing and maintenance requirements than some other varieties. It’s this vigorous growth that makes Kikuyu a popular choice for community parks and school grounds as well as residential properties. Kikuyu’s extensive root system can also help to control erosion on steep banks. To get the best results some ground preparation may be necessary before you lay your turf. This may include spraying, rotary hoeing, and leveling. You can do this yourself or allow our expert installers to do the job for you. How Long Does it Take to Establish a Kikuyu Lawn? Kikuyu grass is a very fast growing grass and our instant turf varieties are certified for purity and quality to ensure you get the best results in the shortest amount of time. Carefully preparing the ground ahead of laying your kikuyu instant turf allows your instant turf to bed in faster and more effectively. Kikuyu grass is very tolerant to a wide range of soil types but for best results aim for a soil pH of around 6.5. Soils with good structure and drainage will produce better results too. Once the turf has been laid you should water it and keep it moist for 14 days. The turf should have taken root by day 14 and you will only need to water the lawn every second day for another 7 to 10 days. 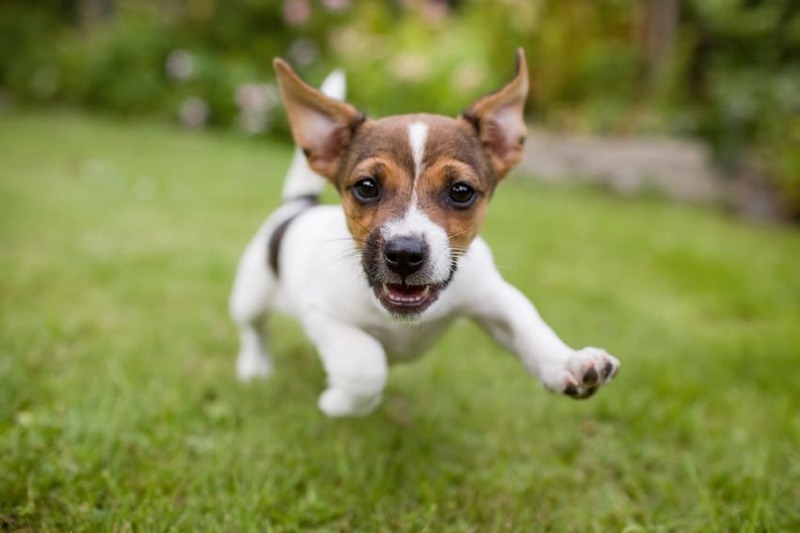 Now your instant kikuyu turf is an established lawn—it’s that simple, it’s that quick. Kikuyu grass can be grown from runners and seed but we don’t recommend this. If you nip across to the farmer’s paddock and rip up a few kikuyu rhizomes and plant them in your backyard you might have a lawn by the time you retire but it is a very lengthy process with rather uncertain results. Growing Kikuyu from seed likewise has its drawbacks including the length of time it takes. You also need to be careful that the seed only produces sterile plants otherwise you might find kikuyu spreading rapidly to places you don’t want it to. Check out the table below to help you decide which is the best grass variety for your needs. Couch generally requires mowing once every 7 to 14 days in the growing season and also has low requirements for watering and fertiliser. Sometimes the ideal choice of grass variety for your needs is not so clear-cut. You may need to think about winter shade as well as your desired level of lawn maintenance. Buffalo offers exceptional shade tolerance but Kikuyu may still be a good option even in the shade. Atlas Turf has been supplying top quality instant Kikuyu turf for more than 30 years throughout the Sydney, South Coast, Central Coast and Hunter Valley regions of NSW. With a low, low price of $7.15 per m2 your new Kikuyu lawn won’t break the budget. We also offer prompt delivery 6 days a week so your new Kikuyu instant lawn is only a phone call away. Because Kikuyu is not a huge fan of shade your lawn will thank you if you cut back or prune any plants and shrubs that are shading your lawn. That being said kikuyu does tolerate a certain amount of shade and usually retains good winter colour. A healthy Kikuyu lawn will generally require mowing once every 5 to 7 days during times of good growing conditions. Due to its tolerant nature you can cut Kikuyu grass to very low levels but avoid doing this in very hot weather when the soil may become exposed and dry out too quickly or during cold winter months when grass growth has slowed significantly. Regular mowing is important to maintain a tight growth mat. A seriously neglected kikuyu lawn can transform into a jungle of runners. But even in this scenario you can recover the neat kikuyu mat type lawn with regular mowing. Kikuyu is a very hardy grass species and is usually much more pest resistant than many other varieties. Lawn grubs or army worms can cause considerable damage to lawns especially during the warmer months. The African Black beetle and Argentinean Scarab can also wreak serious havoc from December through January. The damage these types of beetle and larvae infestations can cause is frequently compounded by the large numbers of birds that gather to dig up your turf and feed on the larvae. It’s better to respond quickly to early signs of damage rather than delay until the problem is really obvious. Treatment with pesticides may be necessary but do use them with great caution and follow the manufacturer’s instructions. Kikuyu will reward you with strong lush grass but it does like regular watering and fertiliser applications. If grass growth is too rampant for your mowing programme to keep up with then you may need to fertilise less frequently. Reducing your watering regime will also help but keep an eye open during the hot months for browning. Because it forms quite dense mats Kikuyu grass does offer some limited protection against weed infestation. However, if dead or bare patches are not repaired quickly weeds can take hold. There are herbicides that are specific to particular weed species but you will need to check the instructions on the label and apply very carefully. For weeds such as paspalum you need to spot spray with a selective herbicide. Be very wary about using glyphosate (Roundup) and if you do you might want to apply it to the weeds only using a brush. Even a small amount of glyphosate spray drift will kill Kikuyu. Atlas Turf has been supplying premium quality Kikuyu instant turf for many years and in that time we’ve established an unequalled reputation for quality. So when you’re looking to go green in your backyard turn to Atlas Turf.